Last week, we looked at some summer reading for the Victorianist in all of us. I’m spending this summer preparing for exams with reading lists and will be sharing them over the next few weeks. Today I thought we would look a little more closely at two of the poets that I included on the list: Gerard Manley Hopkins and Thomas Hardy. I mentioned last time that Hopkins deserves to be on any Victorian list. Often “The Wreck of the Deutschland” or the commonly anthologized “Pied Beauty” with its celebration of “dappled things” will be included in a Victorian list. I’m including a lot more though. I need to include his nature and terrible sonnets and his very medieval works like “Angelus ad Virginem.” I also need “The Leaden Echo and the Golden Echo,” a poem so central to Hopkins’s aesthetic and the purpose of this blog. If you’re following along, try getting the poems from the Poetry Foundation. Searching for Hopkins and then clicking on the Bartleby link will give you the 1918 edition with Robert Bridges’s changes. You can read more about that difference here. Sometimes the changes are small, like in Hopkins’s final poem where Bridges changes “combs” to “moulds,” but there are other times when some of the metrical marks have been removed. I personally prefer Catherine Phillips’s edition, but Norman Mackenzie also has an excellent one. If you’re looking to buy some of Hopkins’s poems, the writer’s guidelines for Hopkins Quarterly can be a good place to start. These are the texts that Hopkins scholars will cite when writing about the priest-poet. 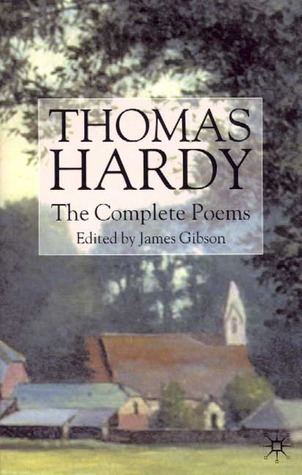 If you’re wondering why I called Thomas Hardy a poet, then you’re in the right place. Maybe you’ve read some of his excellent novels like Tess or Jude. But Hardy wasn’t just an amazing Victorian novelist. He wrote over 900 poems, and focused exclusively on poetry for the last thirty years of his life. I’m using Gibson’s edition since it’s so comprehensive, but you could check some out at The Hardy Society. As always, if you’re reading any of these works throughout the summer, let me know. I’d love to hear what you think about them. And if you are also living a summer filled with diapers and reading whenever the newborn is asleep, let us know that too. Solidarity always helps. Great lists. For Hardy I would also include “The Oxen” and “Neutral Tones” and “Afterwords”.